The Black Stars will play against the United States in an international friendly on July 1 at the Pratt & Whitney Stadium in East Hartford, Connecticut. The match forms part of the United States’ preparations for their hosting of the Gold Cup tournament which starts on July 7. The match was announced by the United States Soccer Federation in April but the choice of venue was confirmed on May 1. US coach Bruce Arena says that the Black Stars will give them needed test ahead of the tournament. “Ghana is certainly a team that brings different challenges, and it’s the type of competition we need as we continue to develop our program. 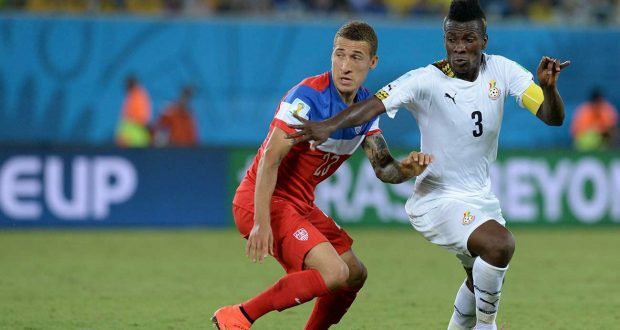 For Ghana, the match will be the second in the United States at that time of the year. On June 29, they face Mexico in a friendly in Texas which is also part of Mexico’s programme for the Gold Cup. New Black Stars head coach, Kwesi Appiah, will be coming up against the United States for the second time in his career. His first meeting came in 2014 in the World Cup and he lost the tie by two goals to one. To read the full piece from Citi FM, click here. Pacy Mordey drops video for motivational song titled "Boame"